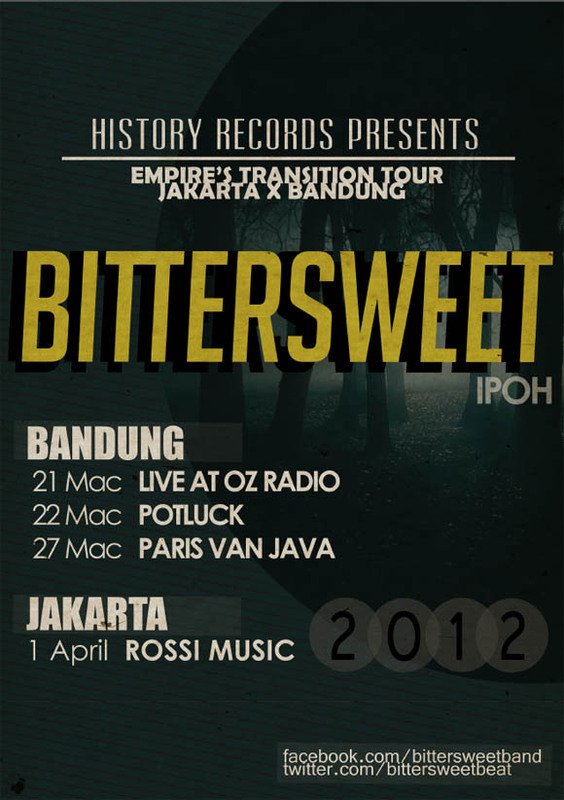 One of Ipoh’s biggest musical exports, Bittersweet, will be embarking on a short tour across Jakarta and Bandung in Indonesia this month. They’ll be playing 3 shows in Bandung at Live At Oz Radio, Potluck and Paris Van Java, and will head over to Jakarta for a show at Rossi Music alongside The Brandals, Kelelawar Malam, Ghauss and Liyana Fizi among others. This would be their first tour outside familiar grounds, and they’re taking this opportunity to record a music video in Jakarta for their single, ‘Knights of the Roundtable’. Click here to watch their performance on The Wknd Sessions they did a while back.